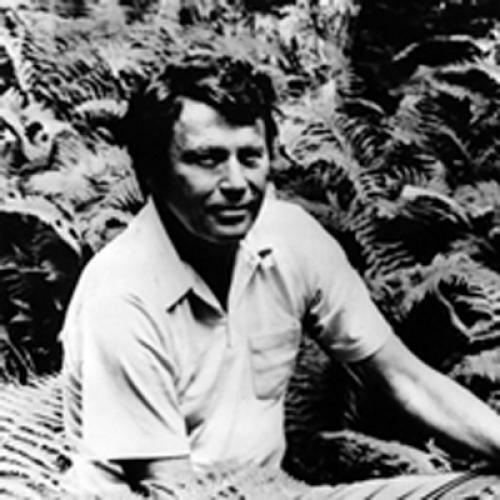 Richard Wilbur, among our most distinguished living poets and a longtime contributor to this magazine, celebrates his ninetieth birthday on March 1 of this year. As the snows of Wilbur’s western New England were slowly yielding to auguries of spring, I found myself thinking, on this portentous event, of a passage from his poem “The Event,” in which he tries to fix in words the elusive significance of a swirling flight of birds. From the pale trees and fields they settled on. Like a drunken fingerprint across the sky! In Wilbur’s poem, I see the birds in flight more clearly, as I imagine them, “with headlong and unanimous consent,” imitating the whorls and rivulets of a fingerprint. But then, for a split second, it’s as though the birds have flown away and I only see a giant fingerprint spread out against the otherwise empty sky. In his lovely early sonnet “Praise in Summer,” Wilbur wondered why we needed such comparisons to see the world more clearly. Why, he asked, is there such “savor” in “this wrenching things awry./ Does sense so stale that it must needs derange/ The world to know it?” Apparently the answer is yes. The world must be renewed, made strange, or all of us are blind. “What is an individual thing?” In the poet’s imagination, at least, an individual thing is both itself and everything else that it resembles. In one of his finest recent poems, “Lying,” Wilbur likens all literature to lying, made up of analogies and similes that equate one thing with something it’s clearly not: “Odd that a thing is most itself when likened.” Consider, for example, the onion: “How the shucked tunic of an onion, brushed/ To one side on a backlit chopping-boards/ And rocked by trifling currents, prints and prints/ Its bright, ribbed shadow like a flapping sail.” “Prints and prints…” Suddenly, for the first time, I notice the word “print” in that “drunken fingerprint,” the analogy with the imprint of poetry. By what cross-purposes the world is dreamt. Actually, Wilbur’s drunken fingerprint draws on two kinds of divination. One is augury by reading the flight of birds. Another is palmistry, reading the future in the whorls of a person’s open hand. Perhaps there is a third kind of divination, or at least inspiration, in that Dionysian drunkenness, that mood in which we try, sometimes against our better judgment, to envision in the blurred mirror of a wineglass a future rife with possibility. In the strong dream by which you have been chosen. Christopher Benfey is a contributing editor for The New Republic.